The goals of the Opticians Association of Virginia(OAV) are to promote the standards of professional practice for dispensing opticians, increase the awareness of the profession, provide education to those who desire it, and to represent the trade in important legislative issues affecting our profession. The OAV provides members with opportunity to develop professional skills, network with peers,assist in community service and mission programs, and share ideas, talents and expertise. New leaders and new ideas are developed through the sharing of resources. The only State recognized group for the advancement of Virginia’s Opticians, the OAV has been serving the Optical community since 1952. Membership in the OAV contributes the well-being and permanence of our profession, and benefits not only the member, but the endurance of Opticianry for years to come. Your participation and support will ensure that we will remain a valuable resource for all Virginia Dispensing Opticians. Active Membership is open to any Virginia Licensed Optician. Dues are $125 per year. Membership renews annually based on the date you join. Active membership includes membership in the OAA and entitles member to discounted registration fees for conferences, as well as free seminars and premium content. Opticianry Students and registered apprentices are considered associate members. The OAV is interested in nurturing new talents and as a result associate membership is free and entitles members to attend classes at conferences for no cost. Once an associate member become licensed, they are offered a year’s free active membership in the OAV as reward for earning their license. 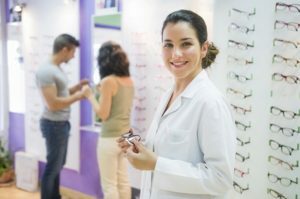 Affiliate members are opticians residing outside Virginia, or staff who work in the optical industry and wish to benefit from membership in the association or support the association. Membership in OAA is not included with this membership level. Dues are $80 a year. If you prefer not to join online, please click here to download and print our membership application to fax or mail.